Homelessness is nothing new, and it is possible that it will never be totally eradicated. The Archer Project provides invaluable support right in the City Centre at Sheffield Cathedral. The Club works on the basis of local businesses funding breakfasts for as many homeless people as can be catered for, one week per year – and man the ladles to serve up the breakfasts. “We are delighted to have worked with Peterman Forklift Trucks for a number of years. Their support has been primarily through our Breakfast Club. It was launched in 2014, with Peterman Forklift Trucks being founding members. The Breakfast Club highlights the importance of breakfast at the start of the day, as being a platform to further engagement in the activities and services which we offer. 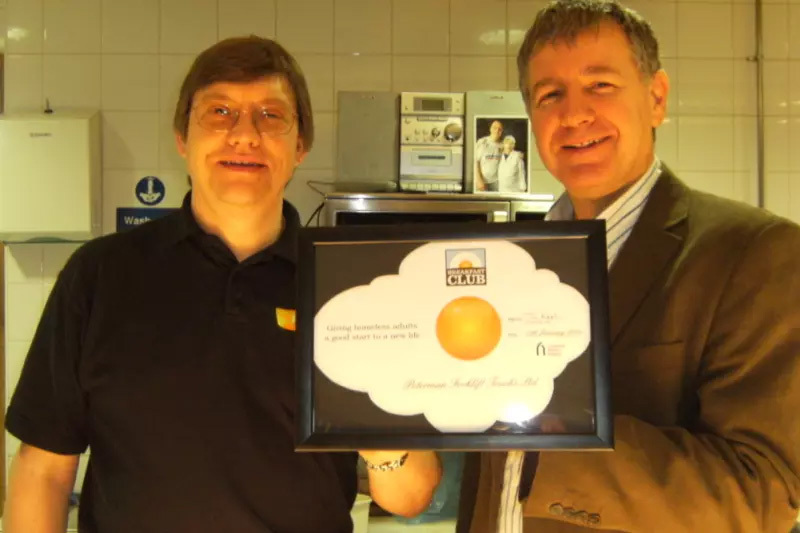 This shows that businesses are able to make a big impact in a small way, providing a week’s worth of breakfasts every year, and coming into our centre to serve it. We are not sure if the club is currently at its target level of 52 companies, but for the last 16 years we have taken our turn, and hope to continue for as many years as we can.